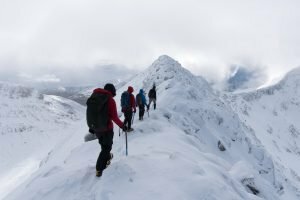 Back by popular demand, we are once again running two subsidised training courses aimed at beginners and intermediate winter mountaineers. These courses are running on the Sunday and Monday of the Winter Meet, letting you find your feet before setting off into the hills for the rest of the week! The course spaces are open to everyone, but priority is given to those on the Winter Meet. 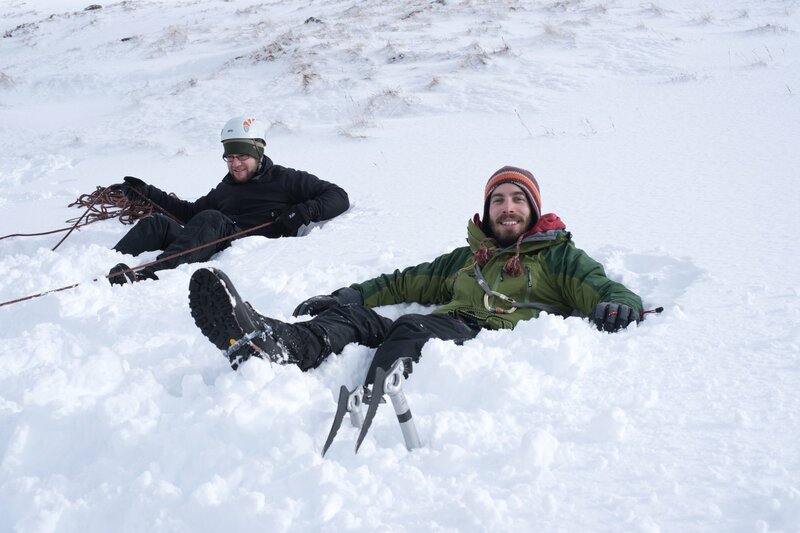 Additionally, we are pursuing the option to have an advanced winter climbing course. This will be a single day, with two climbers to one guide. 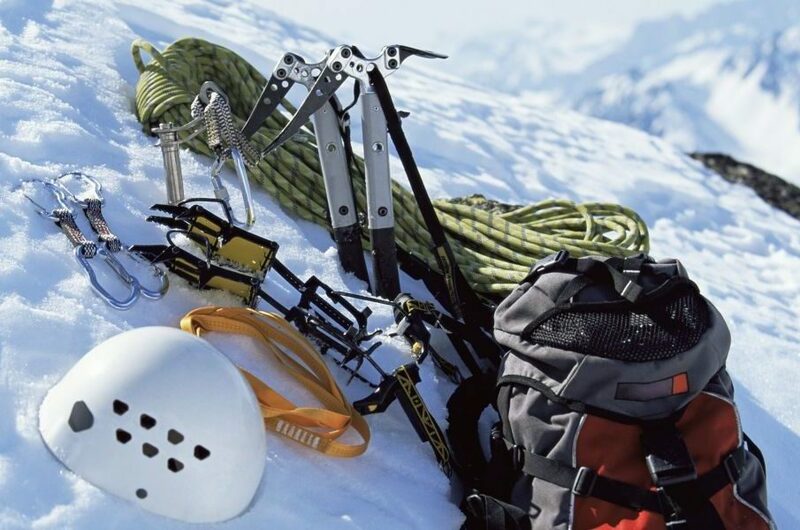 This is a completely tailored day that will allow any climbers to have an invaluable day with an experienced guide. This will be on the Tuesday of the winter meet. If you are interested in this, please register your interest by signing up below. If you have never been ‘on the hill’ in the winter then the Winter Skills course is essential to allow you to understand the added safety challenges that winter brings. 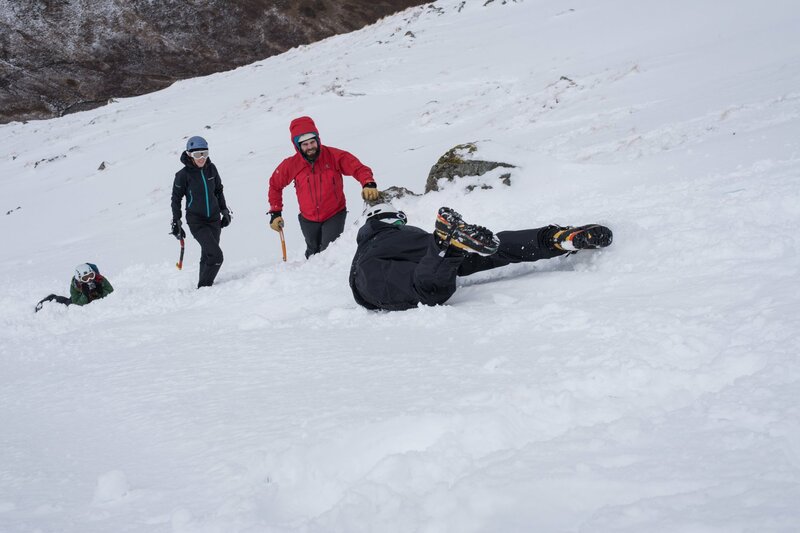 Without the basic skills of ice axe arresting, using crampons and avalanche awareness then you’ll be struggling to make the most of the trip. The Winter Climbing course is for those climbers who have a few seasons under their belt and would like to take their climbing to the next level. This will be a 2 on 1 day with an experienced guide. We are currently seeking if there is sufficient interest to hire guides for this, so if you are interested then please sign up below. The cost for this will not be more than £115 per person. You must use the comments box to send us the following details. This information will be passed onto the Stewart Mountaineering Skills and is required. Please also provide your emergency contact information. You are familiar with aspects covered in the basic winter skills course (snow holes not essential). Please detail summer climbing experience – can you lead trad routes, multipitch and at what grade. You do not need to have any previous experience, however we still would like to know what you have done in the past. If you do not have this kit, you will not be taken on the hill! Remember that the club has a small selection of winter kit that is available to all members.